When in a new city and trying to answer the question “where should we eat?”, one is almost always faced with the related question: Who to trust? From TripAdvisor, to colleagues and friends to Anthony freakin’ Bourdain, opinions are easy to come by but hard to quantify. 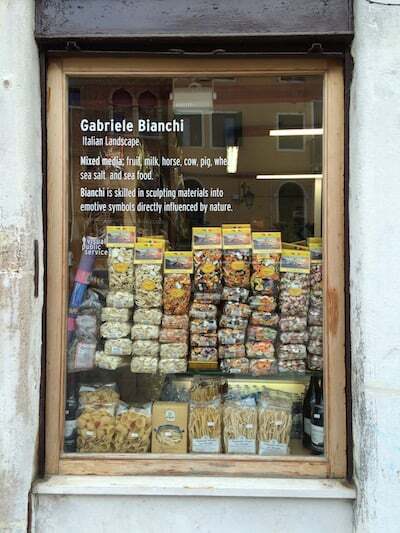 And when you’ve only got three days in Venice and have 10:00 am to 6:00 pm devoted to walking every last inch of the Venice Biennale Arte1, you don’t want to waste a single meal! At least I didn’t when faced with this travel and food scenario. Along with my partner, the Captain, we took a scientific approach, canvassing a fairly broad societal cross section for recommendations during our brief but intense trip. Herewith, we offer our case studies in the service of answering this pressing question. 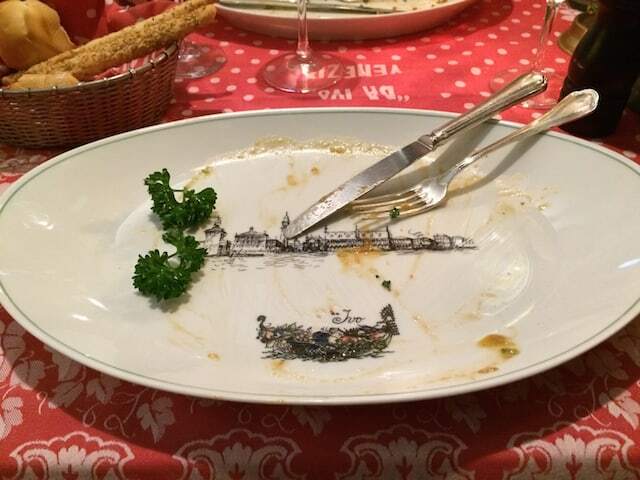 When my most discerning friend reported eating twice at Ristorante Da Ivo (yes, of George Clooney stag party fame), we made reservations weeks in advance for our splurge meal. When we called to confirm, they had “lost” our res but finally acquiesced to giving us a small, early table near the kitchen. What could have felt warm and clubby in the front felt stuffy and officious where we were tucked. The entrees ranged from 50-100 euros and with Italian dinner typically including both primi and secondi, this was clearly going to break the bank. 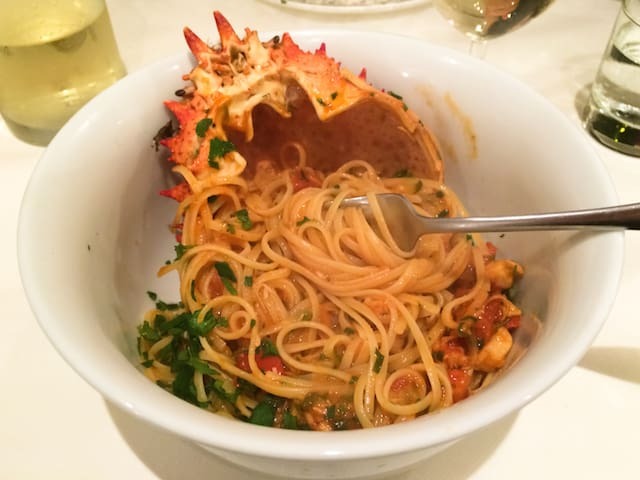 We tried to mitigate by getting appetizers and primi only—grilled cuttlefish and linguine with scampi and porcini for me, and crab-stuffed zucchini and lamb ragu and spinach fettuccine for the Captain—all of which were enjoyable, but probably not the dishes that bring in the stars. Unless you can throw euros around2, advice from those who get the royal treatment everywhere may not be right for you. After a long art day, we took a refreshing vaporetto3 to Lido on the advice of our Airbnb host, assured of the best, most reasonably priced seafood he could pantomime. At Trattoria Andri, we ordered similarly to Da Ivo, the Captain getting a splendid spaghetti with fish and tomato sauce served in a shell4, and I receiving a simple yet effective rendering of linguini in white clam sauce. A friend who shows in Venice regularly pointed us to Osteria ai Assissini, which was the breakthrough meal for us—the first time I melted at a bite, the first time I felt my research rewarded! Magically convenient to Palazzo Fortuny7, but hidden down a side street, we ducked in to find a room packed with locals and a waiter who spoke perfect English. Without realizing it, I ordered our third version of pasta with fish in red sauce, which made comparison easy. This one had spicy sauce, like an arrabiata, over al dente linguine with each tender morsel of shrimp and squid leaving the others in the dust. The Captain’s handmade gnocchi with crab and cherry tomatoes hit the comfort food spot. 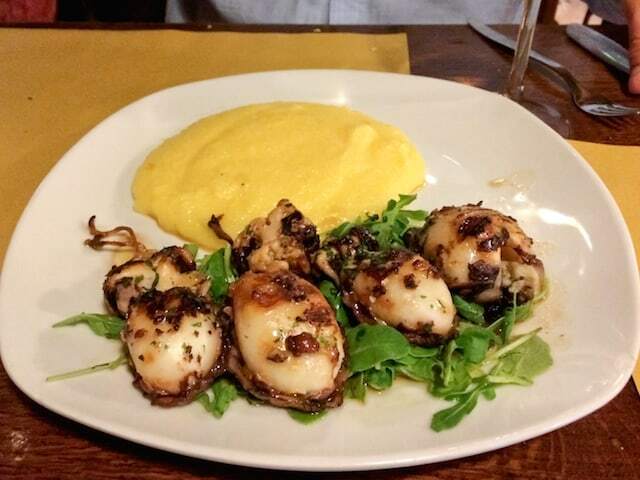 Ai Assissini scored with the most perfectly grilled cuttlefish imaginable—no chewiness, nice charcoal, a hint of lemon and herbs—accompanied by creamy polenta. I couldn’t resist a side of grilled eggplant, which turned out to be an ideal pairing, with its oil and juices, for any extra polenta. We sat back, sure we had found the answer to our question. 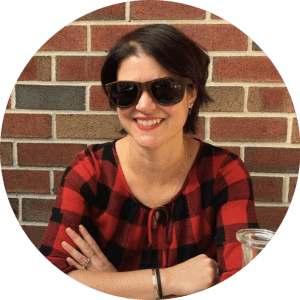 Guided by a network of tastemakers wherever they land, the Artist is good for finding the pulse of a place, seeking authenticity in experience and price point. Our last day was spent running around to off-site biennial installations, and we finished, tired to the bone, steps from the dreaded tourist traps of San Marco. 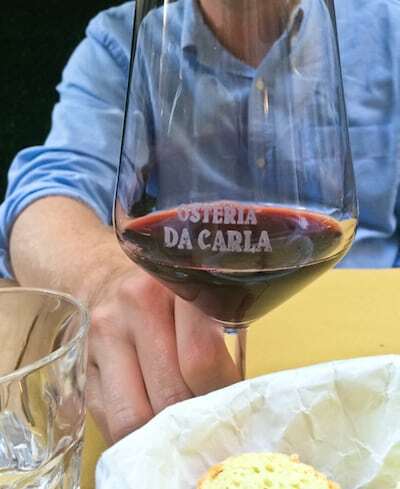 We stumbled with skepticism to the only recommendation in this zone, Osteria da Carla, a little place that my jet-setter friend’s dad had first been to 30 years before. Our first hint that this might be a diamond in the rough was the wine recommendation, when we were talked down from our given price point to a stunning Italian Cabernet. Full bodied and spicy, it complemented the restaurant’s bold, modern spins on Venetian fare, making us exchange eye-rolls of awe. My pasta, an extra-wide velvety ziti, was smothered in a purée of anchovies and asparagus topped by a chunk of creamy mozzarella di bufala. Bracingly salty but brightened by the fresh asparagus, the sauce deployed classic Italian ingredients to complex, creative ends. The Captain’s gorgonzola- and porcini-smothered fettuccine was unapologetically rich but again smartly balanced the bite of blue cheese and fresh pepper with earthy mushroom. 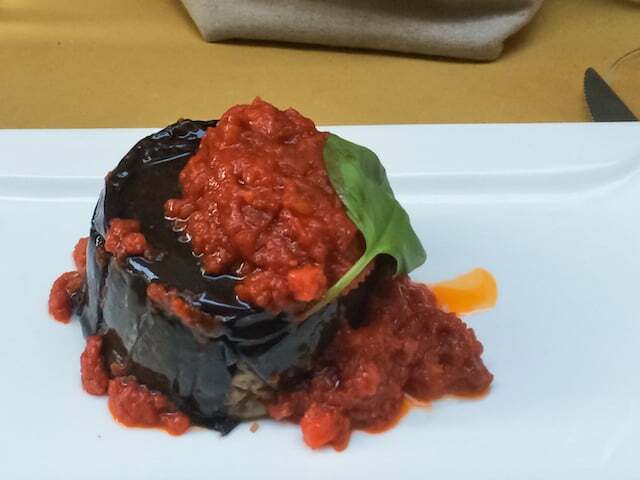 For protein, I thankfully ordered an appetizer that was gorgeous and gigantic: thinly striped eggplant skins wrapped around a mash of grilled swordfish with straight-from-the-garden tomato basil topping. I managed half. The Captain received a brick of steak tartare that probably weighed a pound, and was scooped, bite by bite, onto olive oil soaked toast points. We were dazzled. 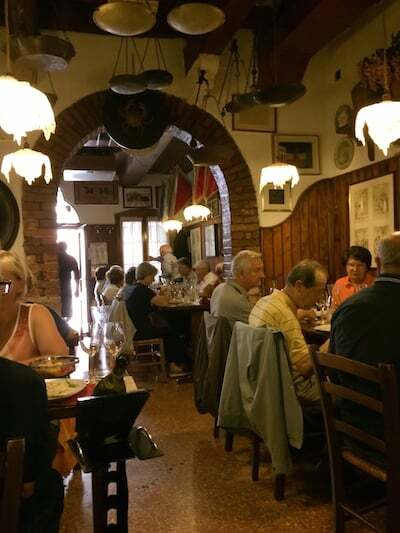 While our findings might not be statistically valid, apparently a friend’s dad’s tip from three decades ago might be your best bet in a city as full of history and mystery as Venezia. Both the internet and our Airbnb host pointed us to El Rèfolo, a small bar with tables extending into the lovely promenade of via Garibaldi. 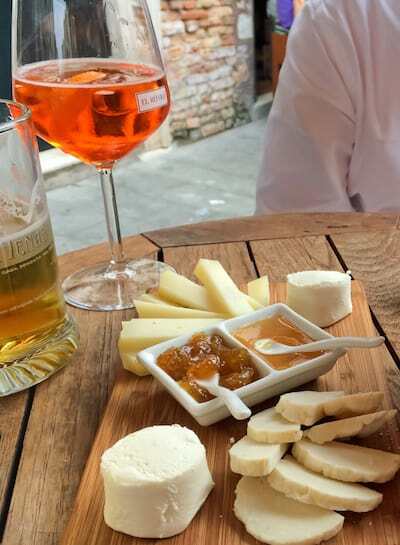 Welcoming all with 3-euro Aperol spritzes, Slow Food-approved cheese and meat plates, cicchetti (finger sandwiches), and free snacks, El Rèfolo is blessedly close to either of the main Bienniale venues. It was either the start or end of our night during the entire trip and never disappointed.